They are rude marching enemies I must squash for coins. 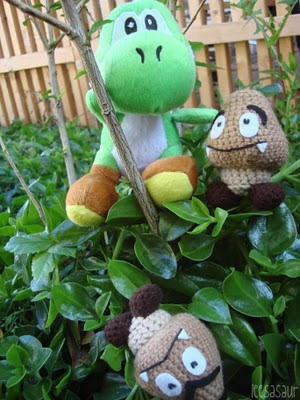 I want everyone to see, and one person to own, the softer side of the Goomba. 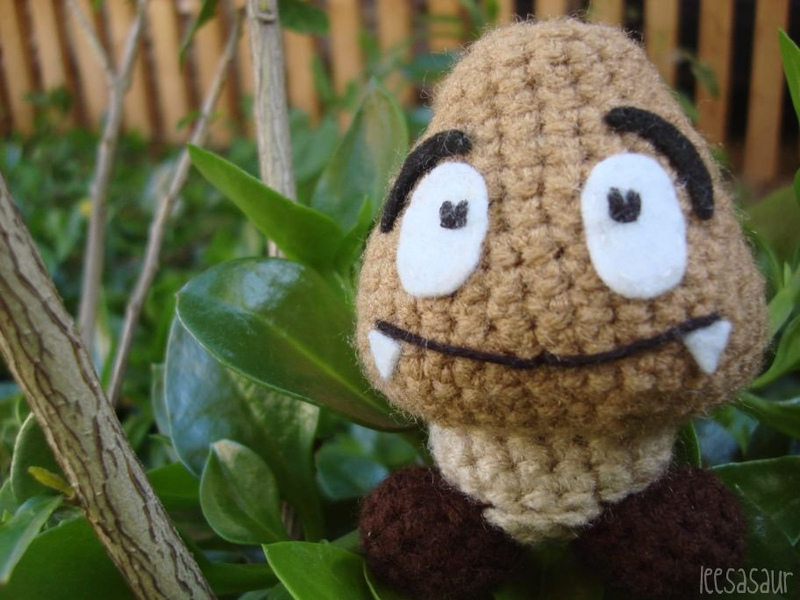 Yes, tell me your thoughts on Goomba nature, and you can win my non-jaded Goomba! 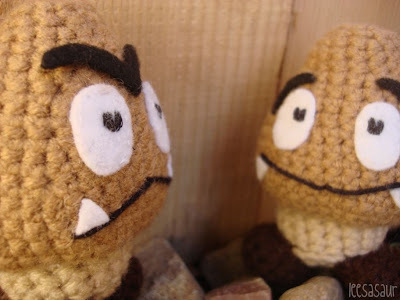 Are Goombas evil shiitake mushrooms? Please, one entry per participant. 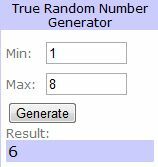 Winner will be randomly selected and announced on January 17th, 2011. I took the liberty of entering all previous facebook commentators in my giveaway! they cant be evil! 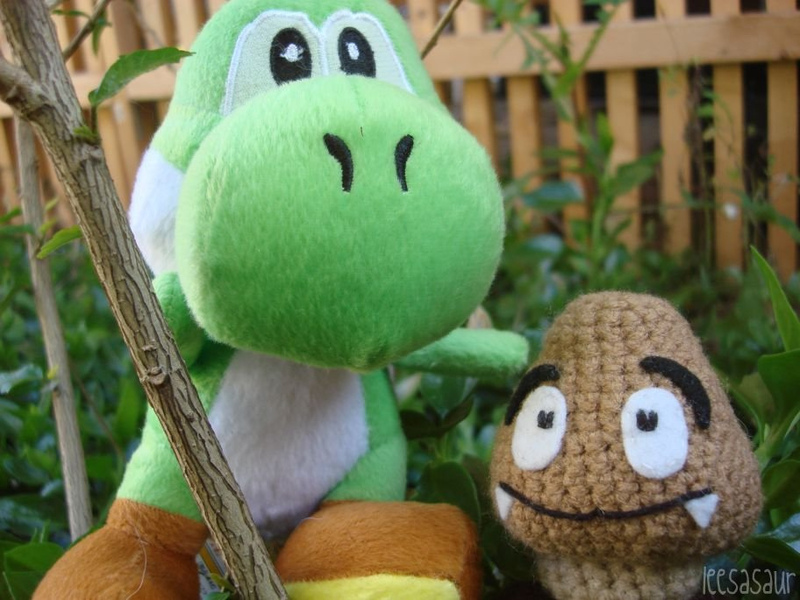 i love mushrooms, theyre so tasty! goombas have always looked tasty to me, (im weird) but they always reminded me of those Kinoko No Yamai snacks. so no, goombas arent evil shiitake mushrooms, dont believe the rumors! 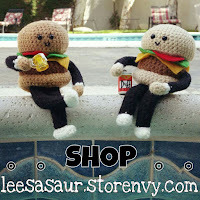 theyre actually delectable chocolate snacks! goombas are just like humans. they can be good or evil. 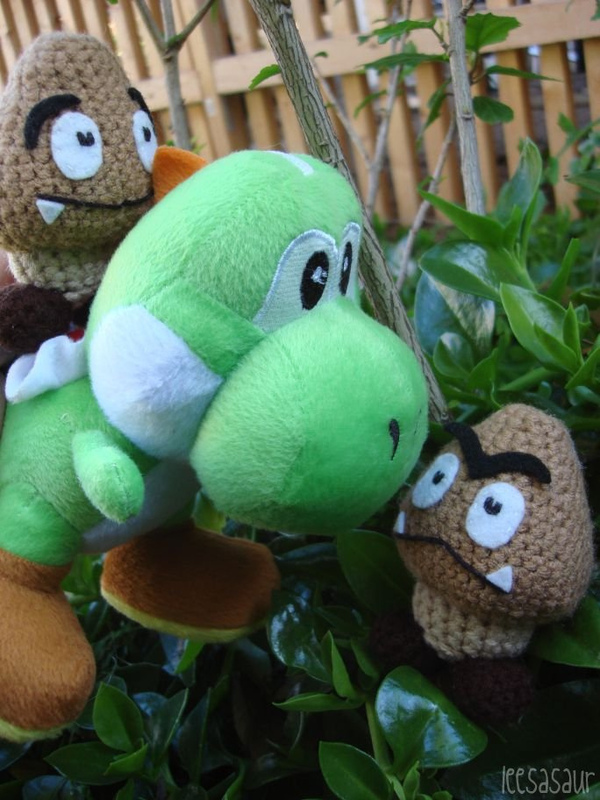 they are not as good natured as a mushroom kingdom people..perhaps they used to be part of the mushroom kingdom but were banished for being mean? they're not evil shiitake mushrooms. 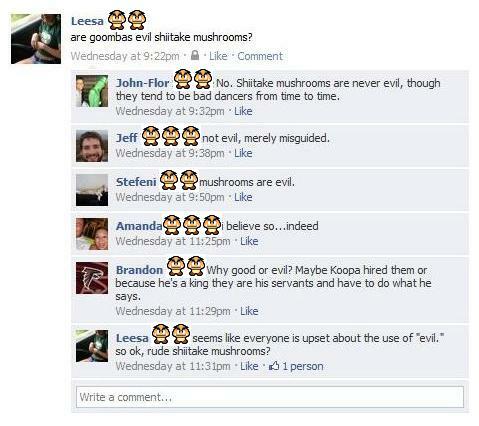 shiitake mushrooms are too delicious to be evil.